If you're wanting to go beyond the basic stuff everyone does with their phone - either by extending its capabilities or by taking more control over what it already does - we've got just the collection of tools for you. These automators, taskers and shortcut makers can quickly hack Android or iOS to do your mobile bidding. What it is: Tasker ($3.49, Android) is perhaps the best known automation app for Google's mobile OS. It lets you manipulate alerts, apps, notifications, dialog boxes, phone settings, inputs, outputs, and more to take charge of your device. All of that complexity means it can be daunting for beginners, but it's undoubtedly worth investing some time and effort to learn the ropes. 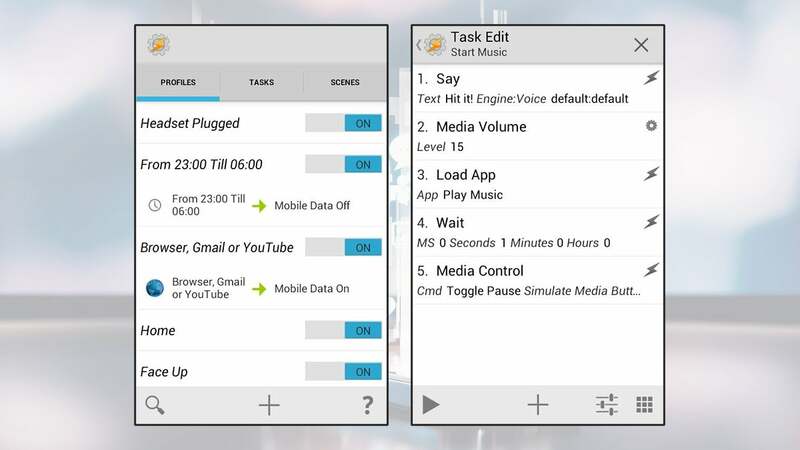 At its heart, Tasker lets you link inputs (events, times, sensors) with outputs (alerts, app actions, settings changes). It gives you precise and automatic control over almost every part of your Android phone. Further adding to its appeal is the strong user community behind the app and the multitude of plugins and add-ons available for it that you can also use. What you can do: For the Tasker newcomer, it's maybe easier to get a grasp of what the app can do than understand exactly what it is. For example, you can launch a particular app at a certain time, turn off Wi-Fi when the screen dims, put your phone on silent as soon as you enter a specific area, protect certain apps with a passcode, or change the device wallpaper on a timer. The app can also take photos if a wrong password is entered, change the ringtone volume based on who's calling, autoplay your WhatsApp messages, set up reminders for missed notifications, change the display brightness over the course of the day and much more. It's even possible to wrap these Tasker events up as separate mobile apps and use them right way. 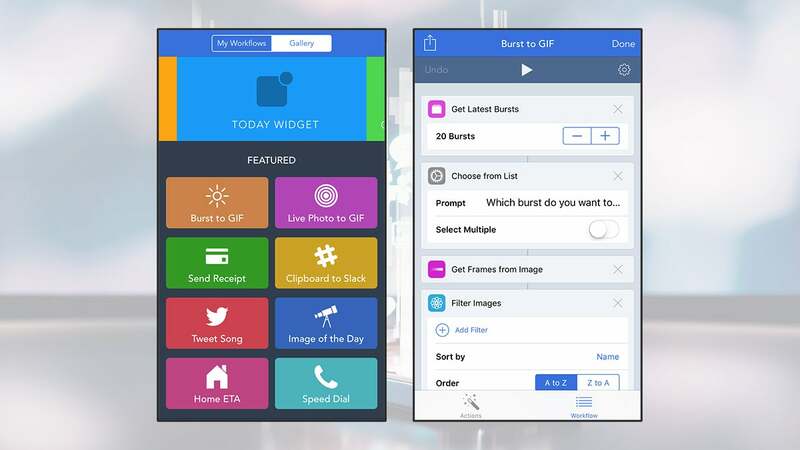 What it is: Install Workflow ($4.49, iOS) on your iPhone, and you get access to a suite of tools for greasing the wheels between the apps you use most often. At one end is an action or input, and at the other end is a resulting output, and actions can be combined to create workflows. It's like a long series of APIs (Application Programming Interfaces) that allow apps to talk to each other in ways they otherwise wouldn't. Finished workflows can be saved as shortcuts on the home screen, kept inside apps, or used as share extensions in iOS, so there's a lot of flexibility when it comes to deciding how you want your finished outputs to be applied. What you can do: Again, examples are perhaps the best way of understanding what Workflow is all about. The app lets you quickly delete screenshots from the camera roll, open the Spotify track for a particular YouTube video, get an Uber ride to the next location on your calendar, open links in Chrome and send web pages to a Kindle, to name a few examples. 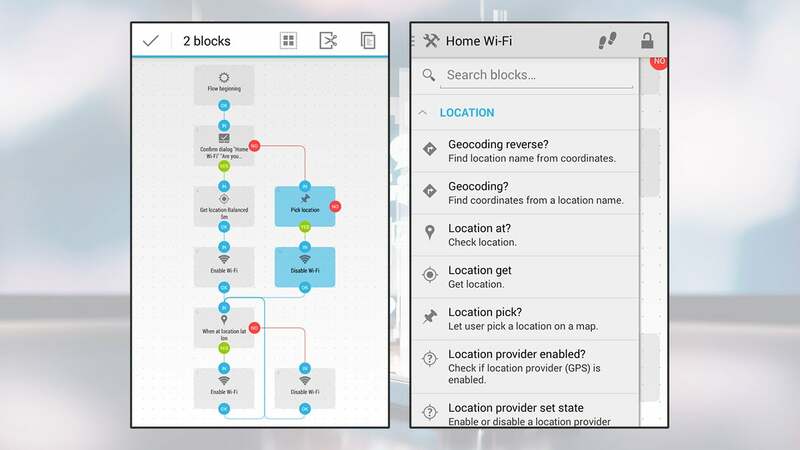 You can see how these workflows take data or a particular input from one place and pipe it into another — the latest app update lets you activate some workflows from the Notification Center and sync events between multiple devices. If there's any kind of automatic link between two iOS apps that you want to set up, chances are Workflow has an option that can help. What it is: IFTTT (If This Then That) is the most accessible option in this list — if you're looking for the most impressive results with the least effort then IFTTT is the one you're looking for. IFTTT's custom-made 'recipes' combine both a trigger and an action, and a whole host of apps and services are supported as channels, including a number of key Android and iOS integrations. The main IFTTT app is called IF (free, Android/iOS) and acts as a kind of stripped-down version of the full web app. Alongside that there are the DO apps: DO Button (free, Android/iOS), DO Note (free, Android/iOS) and DO Camera (free, Android/iOS), which are even simpler and let you associate basic actions on your mobile with automatic tasks on other channels. What you can do: IFTTT has hooks in many popular apps and services — save your Instagram favourites to Dropbox, update Facebook via SMS, get weather alerts via tweets, and so on. As far as Android and iOS are concerned, supported channels cover SMS, the phone app, photos, location, battery status, contacts and reminders, so you can incorporate them in your recipes. The DO apps basically let you set up shortcuts on mobile: you might create a Button to set your Nest thermostat, or log your location in a Google Drive document, or turn off your Philips Hue lights, for example. The Camera and Note versions let you quickly send pictures or text to popular apps and services (the likes of Facebook, Evernote, Slack, LinkedIn and many others). What it is: Automate (freemium, Android) gives you the power to automatically trigger all kinds of events on your phone, from changing device settings to sending out texts or emails. It takes a user-friendly-ish flowchart approach to give you an overview of how your automated tasks are coming together, although it does take some time to get to grips with the app. 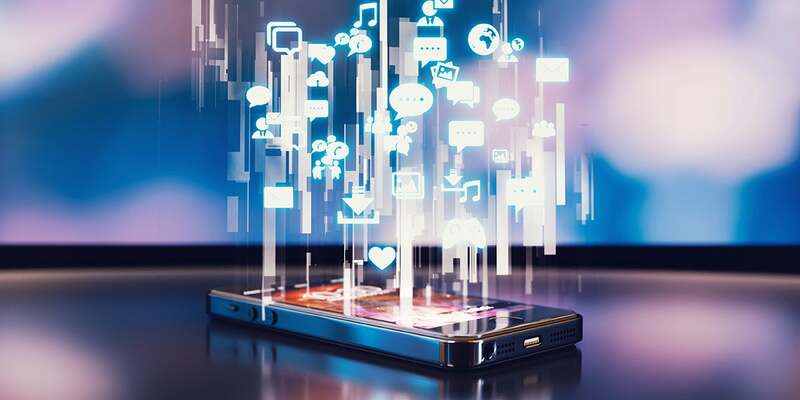 There are hundreds of actions, conditions, triggers and loops to make use of, covering most of the settings, buttons, sensors and apps on your phone (some of these install as extra apps). If you're just getting started with the app, there are plenty of user-submitted tasks available through the Automate community website, giving you an idea of what the app can do. What you can do: Essentially, combine all kinds of input triggers with all kinds of resulting actions: turn off wifi to save battery after a minute of no connectivity, set your phone to vibrate during evening hours, link the media volume to the ringer volume, or launch Spotify when headphones are plugged in to name four examples from the Automate user community. Other tasks we've seen done with Automate include automatically erasing temporary cached files at regular points in the day, turning up the brightness when a call comes in, reading out text messages, putting a simple countdown in a notification, turning on Bluetooth when driving, fading out music after a specified length of time and sharing your location with others. 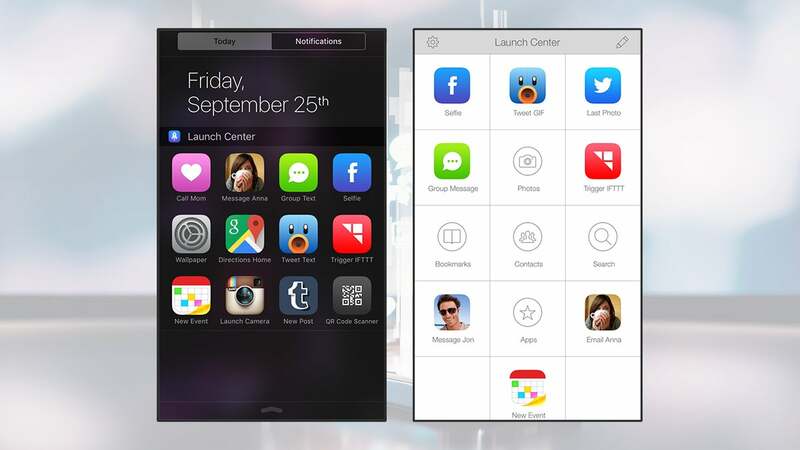 What it is: Describing itself as "speed dial for everyday tasks", Launch Center Pro ($7.99, iOS) enables you to set up shortcuts that can be opened from the home screen or the Notification Center — not just shortcuts to apps but shortcuts to specific functions within those apps. 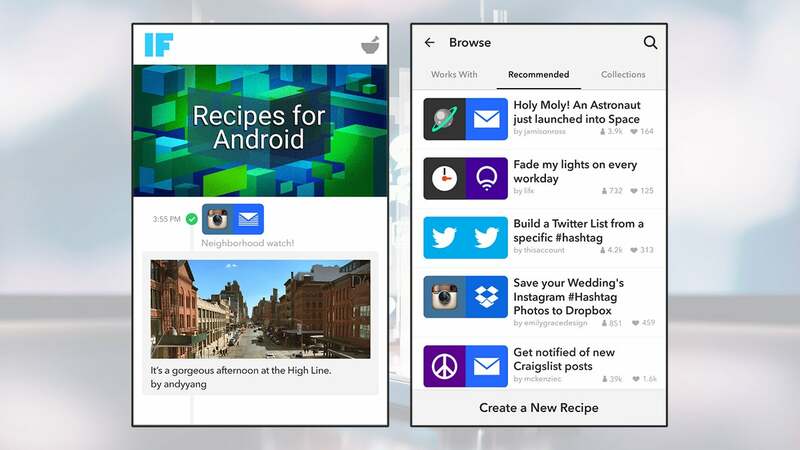 The likes of Evernote, Dropbox, Google Maps, Instagram, Tweetbot and many more are supported. The app also ties in neatly with native iOS features, including contacts, bookmarks, and search, so it's possible to set up all kinds of customised links to specific tasks on your phone. In some ways it's a variation on the 3D Touch feature Apple has now introduced with the latest iPhones, only you can specify the shortcuts and actions yourself and launch them with a tap. What you can do: Hundreds of apps (including some of Apple's own) support the special URL calls that Launch Center Pro deals in. The app lets you create shortcuts for phoning specific people, scanning barcodes, searching Yelp for a certain type of place, translating phrases with a tap, archiving your tweets to a file in Dropbox, running certain queries on Wikipedia, and so forth. Launch Center Pro also supports location triggers (to automatically tie any of these actions to a certain place) and customised notifications (to link personalised alerts to them, too). You can even code your own action URLs manually, and the app also works well with the aforementioned IFTTT. And what about a list of apps for phones that run on Windows? Why oh why do journos ignore this platform so blatantly. This article is yet another example of a deliberate and unfortunate exclusion policy of a great phone platform. I recommend Pythonista for iOS and it plays well with Workflow too.